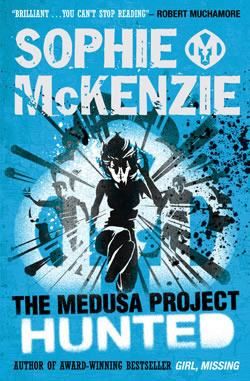 Dylan, the daughter of the scientist who created the Medusa gene for psychic powers, has never felt she really fits into the crime-fighting Medusa Project. But then she makes a discovery about her father’s death which changes everything. As she and the other Medusa teens search for the truth, Dylan meets Harry – a boy who seems to know more about Dylan’s past than she does. But can Dylan trust him? While Dylan searches for the mysterious legacy that her father has left her from beyond the grave, her dad’s killer closes in. But just how far is the murderer prepared to go to keep Dylan from finding out the truth? Categories: Fantasy, Sci-Fi, Thriller | Tags: Sophie McKenzie | Permalink.